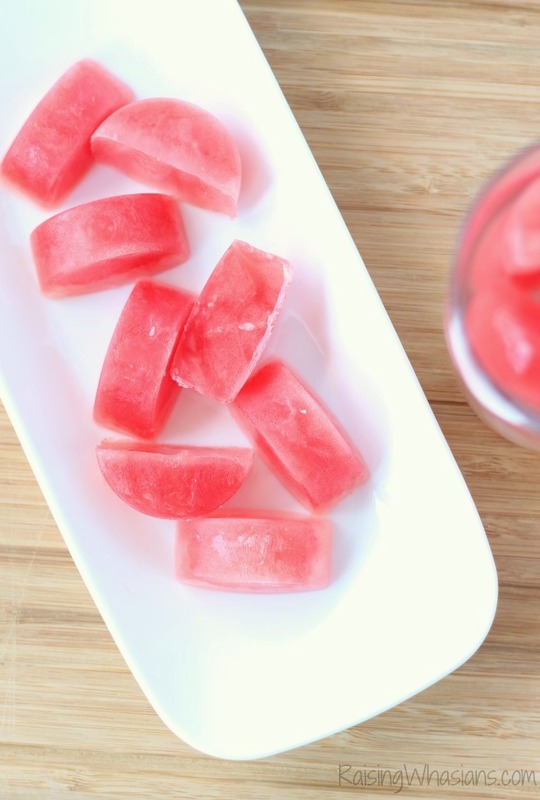 I’m sharing my secret to drinking more water with these Easy Watermelon Coconut Fruit Ice Cubes. 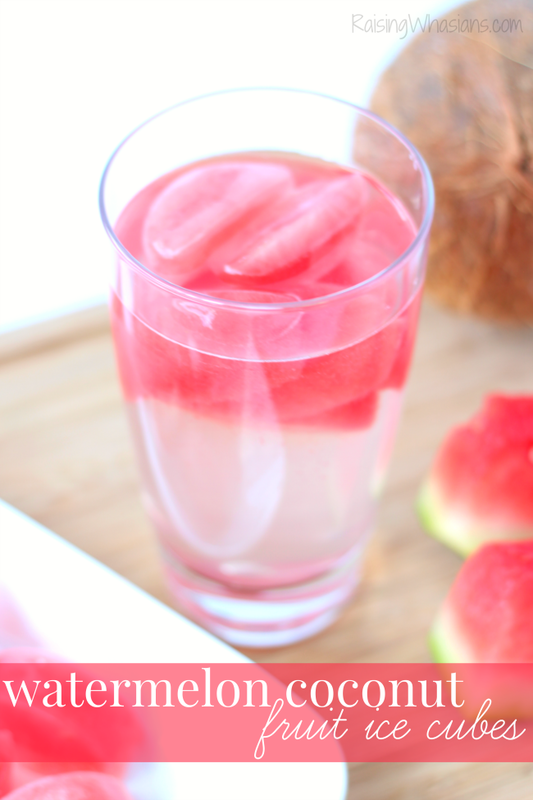 Slowly infuse your water with delicious and sweet fruit for the perfect summer drink idea! May contain commissioned links. April was my month. I’ve been working out regularly, eating better and ultimately losing weight. 5 pounds down, I’m feeling so much better about ME. I’ve been drinking a lot more water too. But here’s the thing, water is B-O-R-I-N-G. There’s only so much lemon or lime I can cram in there to get my daily ration. 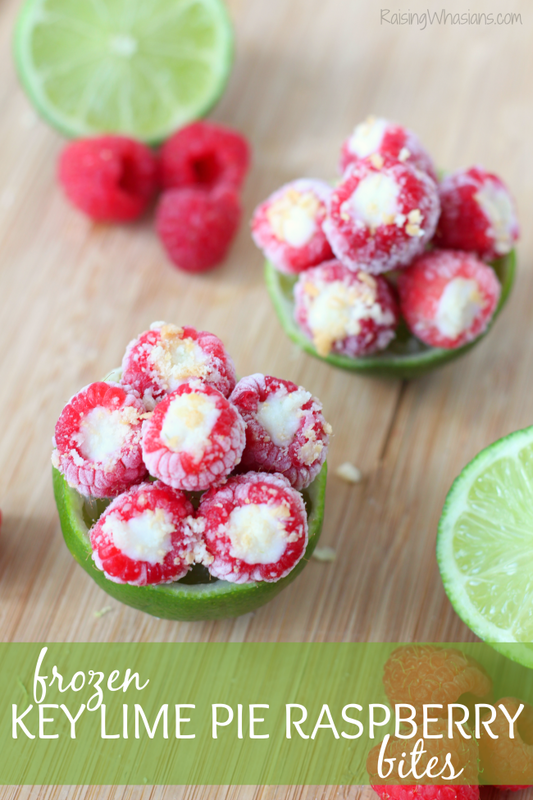 So that sparked my latest healthy recipe inspiration, fruit ice cubes. 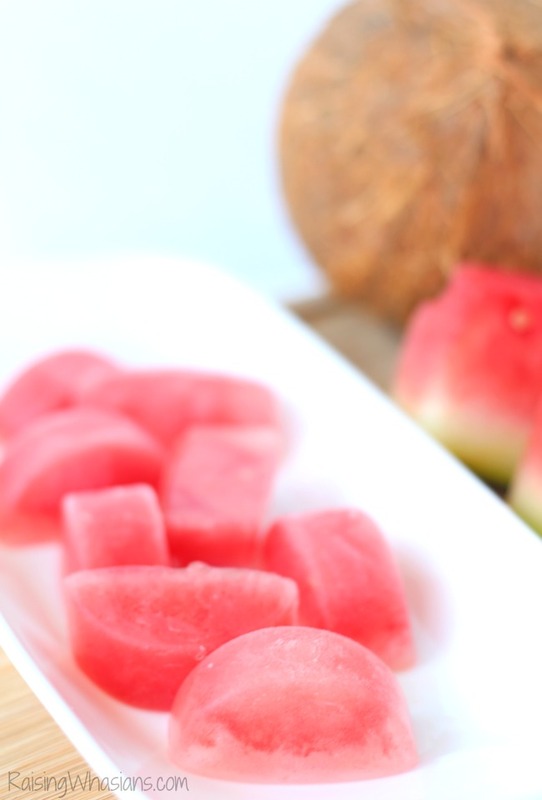 Today I’m sharing my secret to healthy weight loss with these delicious Watermelon Coconut Fruit Ice Cubes. Because I care about your drink boredom too. Light, naturally sweet and perfect for those summer drinks, your fruit infused water has been taken up a level. Grab ALL of the ice cube trays. It’s true, I have a thing for watermelon lately. 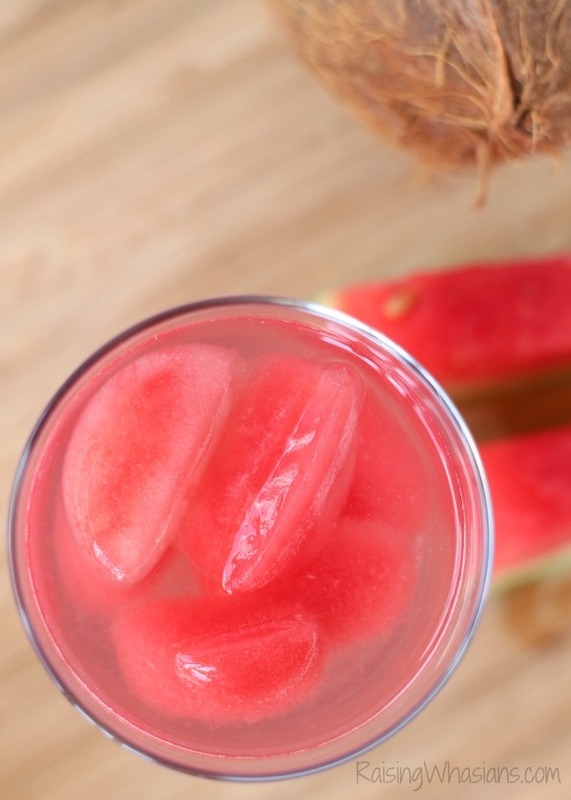 After concocting this Copycat Disney Watermelon Slush (and tasting and tasting and tasting the results), watermelon and I understand each other. And with watermelon being full of water with a hint of sweetness, I knew I had the perfect base for fruit ice cubes. Water, meet your new BFF. Getting my 6 to 8 cups of water everyday has been hard. I get sips in between toddler chases and school homework….but honestly drinking water has been at the bottom of my to-do list. Because it’s NOT fun or pretty or appealing. It’s just plain ole’ water. But add a few lovely fruit infused ice cubes to my glass, and I’m now finding excuses to sit down for a drink. I mean, how FANCY is your glass when you have a few happy cubes floating in there? Right?! And with fruit infusion giving me extra vitamins, minerals and you know….filling me up so I don’t cry miserable hunger woes, I can stay on my track for a healthier me. Ready to make a batch or 14 of these delicious ice cubes? So easy! 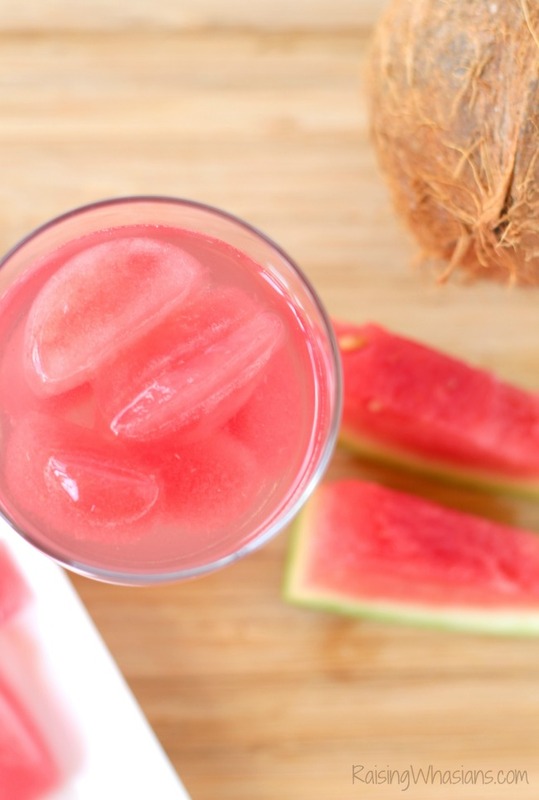 Serve immediately in your favorite drink or liven up your water! So when I get hungry, I pull out another glass of water, all FANCY and pretty for me. 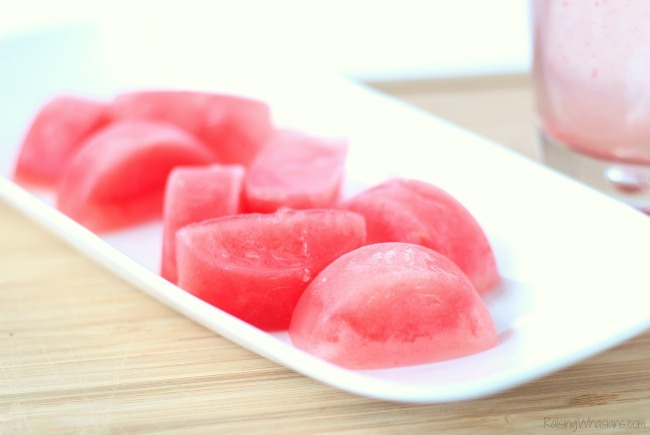 5 pounds down and holding strong, I’m loving my Watermelon Coconut Fruit Ice Cubes. What’s your secret to drinking more water? Be sure to follow Raising Whasians via Facebook, Twitter, Google, Instagram, Pinterest and YouTube for more delicious recipes, kid crafts, family travel and moments. out. I am sure I will enjoy making these and knowing my family they will be enjoying them also.. This recipe could really get me drinking more water. I would love to try them. I have never seen these before. Something I want to try. Omgosh, this is one of those times when you say, why didn’t I think of that? 🙂 Such a great idea, will definitely be trying this and loving it I’m sure! 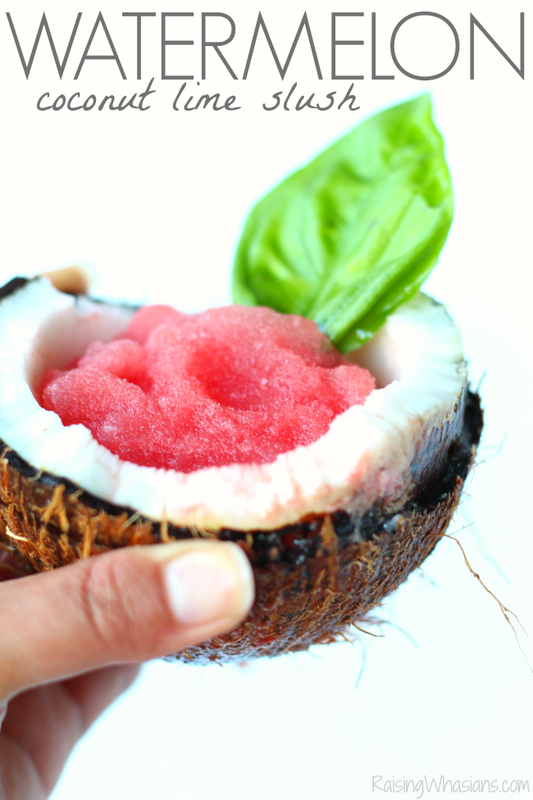 I am normally not a fan of coconut but when I read that you use coconut juice – I’m on board! 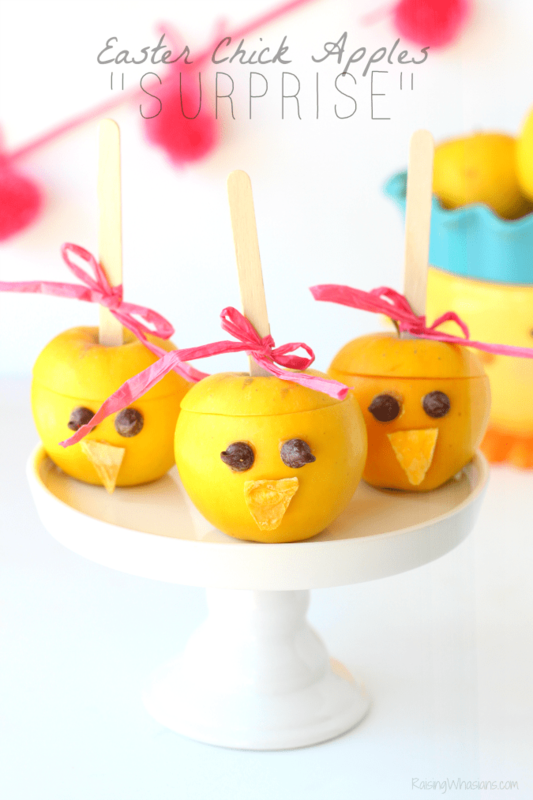 These look so yummy – perfect for those hot summer days! This is right up my alley. I am the only one who eats watermelon here- sad but true. Last year I tried juicing one and it was DELICIOUS! I couldnt eat a whole melon, and thats what worked. I hadnt thought of ice cubes but these sound good too! I may be strange, but I like drinking water. I always have a glass or my bottle within reach. These would be tasty. I love these! I’m a huge watermelon fan. This is such a great idea! They look so refreshing. Perfect for a hot summer day. 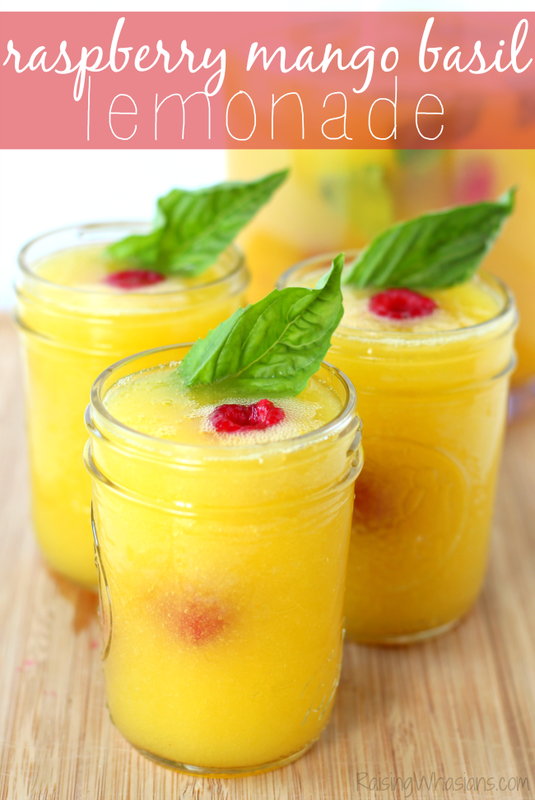 This drink looks refreshing and I want to make it for a healthy Spring and Summer time drink. Thanks for the recipe. I to am trying to lose weight. Water is boring. This is a delicious way to drink water. This looks like a yummy idea! I’m trying to lose weight and the Dr. told me I need to drink more water. This will definitely make it less boring!